Leading Manufacturer of chrome plated ss flanges, stainless steel flanges and chrome plated flanges from Jamnagar. Se are engaged in providing our clients with Chrome Plated SS Flanges that are widely acknowledged for their longer life, dimensional accuracy and sturdy construction. All our products are widely used in homes, offices, corporate houses and hotels. In addition to this, our products can be customized as per the specifications laid down by the clients to meet their exact needs. 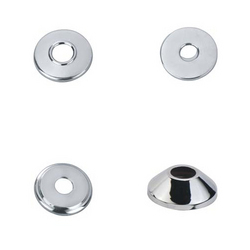 For fulfilling the diverse needs of our clients, we provide them with a qualitative range of Stainless Steel Flanges. We manufacture all our products as per industry norms, using superior raw material and latest technology. Furthermore, we test every product on several parameters to ensure zero defect in final output as well as provide customization as per clients' needs. 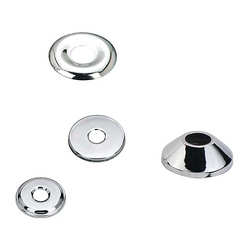 We have years of experience in manufacturing and exporting a comprehensive range of Chrome Plated Flanges that are widely used in homes, offices, corporate houses and hotels. Our products are developed utilizing latest technology and superior raw material, which is sourced from the trustworthy vendors of the market. Furthermore, we provide tailor-made solution to our customers as per their requirements and demands. 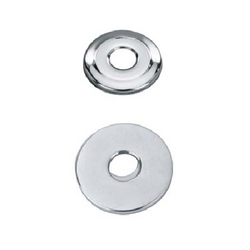 Looking for Stainless Steel Flange ?